Pest management professional (PMP) Arnold Sciberras found a way to put his rodent expertise to good use: by breeding and selling rats. Sciberras has a degree in agribusiness and pest control management, according to timesofmalta.com, and studies entomology and wildlife conservation in the Mediterranean island Malta, where he and his family reside. He bred mhis daughter’s pet rat, Mawsi. Sciberras tells the Maltan website how someone who manages rat infestations as a career can create more of the pests as a hobby. “Domesticated animals released in the wild could either die within a few hours or days, or become invasive species, feeding on local flora and fauna,” Sciberras says. To encourage responsible breeding and care of animals, he founded the Malta Rodent Society. “Why do many consider the rabbit as a cute pet but would not raise a rat pet? What’s the difference? 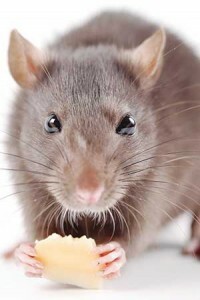 One of them – the rat – is more intelligent than the other,” he tells timesofmalta.com.